A friend of mine who loves moisturizers and fly fishing snapped this shot somewhere in the great state of Idaho. 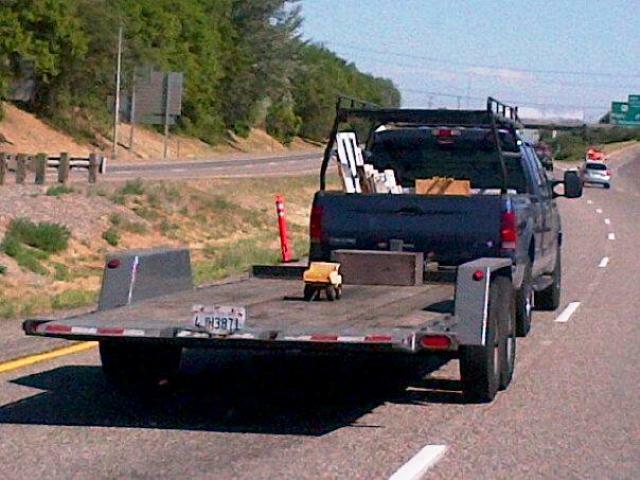 Looking at it, I hope for the sake of the other drivers, that the driver took time to properly secure his load. This entry was posted in Custom, Items of Interest (Not for sale) and tagged Awwww, Precious, Super Cute Tonka, Tonka. Bookmark the permalink.